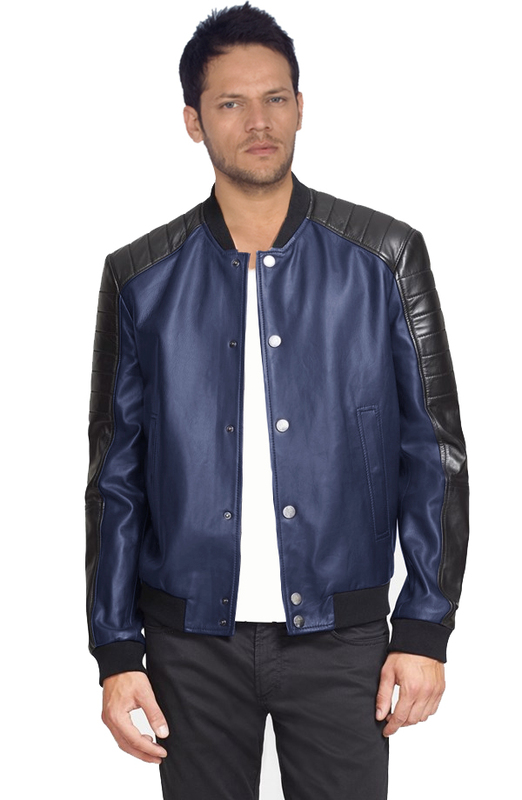 This sleek two tone leather bomber jacket with quilted panel shoulders creates a look perfect for a casual active lifestyle. 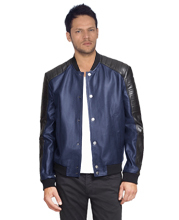 With handmade ribbed hem and cuffs the fit is that of a causal luxe high on the trend quotient. Comfortable sharpness and the vibrancy of its design pulsates an almost contagious energy.